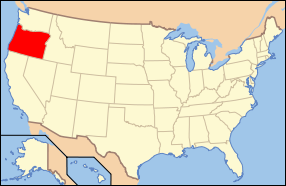 At the beginning of 2008, the Oregon legislature passed reforms to the state's law governing non-competition agreements. The statute is so specific it likely will create loopholes as lawyers and their clients devise ways to circumvent the law's requirements. Prior to the 2008 amendments, the statute attempted to govern the enforceability of non-compete agreements by dictating they were enforceable only if signed at the inception of employment or upon a bona fide advancement. Agreements signed prior to the effective date of the new law are still governed by the previous iteration, and so we can expect a runoff of cases decided under the old statute. One such case involved Jim Prutsman, a former IT chief and sales employee of Epiq Class Actions and its predecessors. When Prutsman was promoted from IT to sales in 2003, he signed a two-year non-compete agreement. Subsequently, his employer was acquired in a stock purchase by ECA. Following the closing, Prutsman signed a new non-compete agreement - which reduced his post-termination restriction from two years down to one. As the court noted, the consideration for the agreement did not meet either criteria for enforceability - it was not signed upon the commencement of his employment and not pursuant to a bona fide advancement at ECA. However, the court took a realistic view of the statute and disagreed with Prutsman's consideration argument. Specifically, the court held that the impact of the new agreement was to reduce Prutsman's burden; he was barred from competing for only one year, not two. The court noted that enforcing the less onerous agreement was consistent with the legislature's intent in prohibiting non-competes where the employer foists a new document on an employee under threat of discharge.